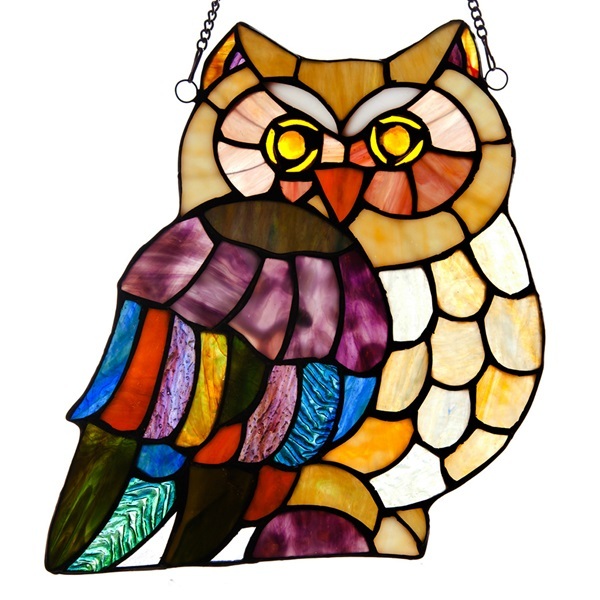 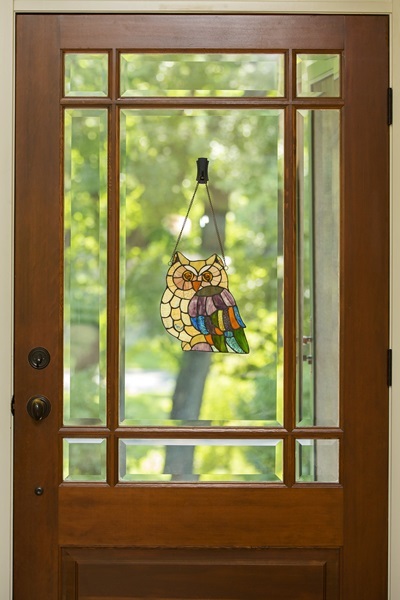 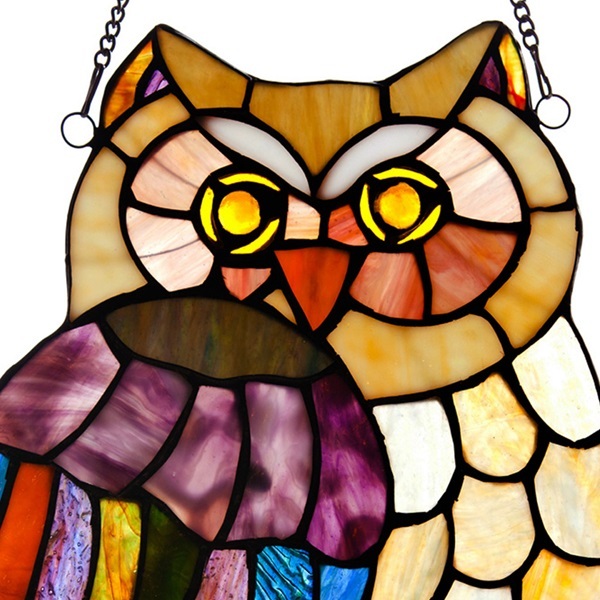 The Hoot's Owl Panel is the perfect gift. 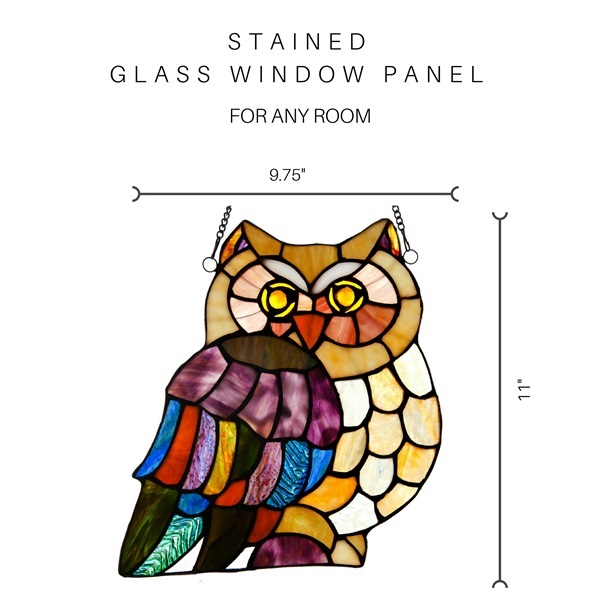 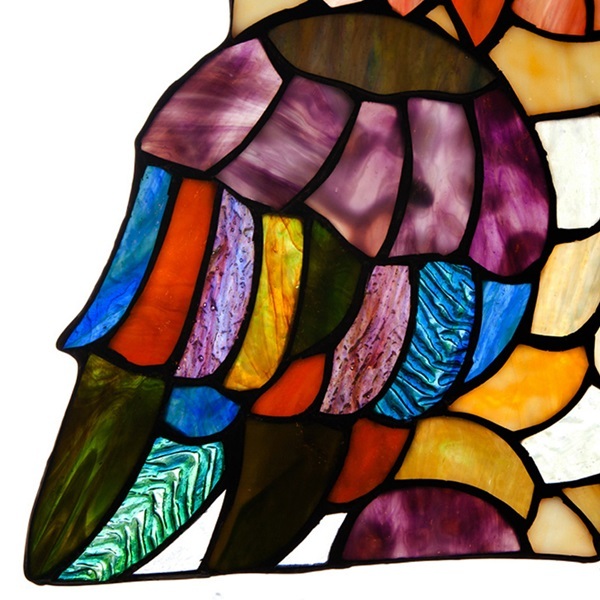 Place it on a window and let the sun illuminate your home or hang it on the wall and enjoy the striking details of the 67 hand cut glass pieces. 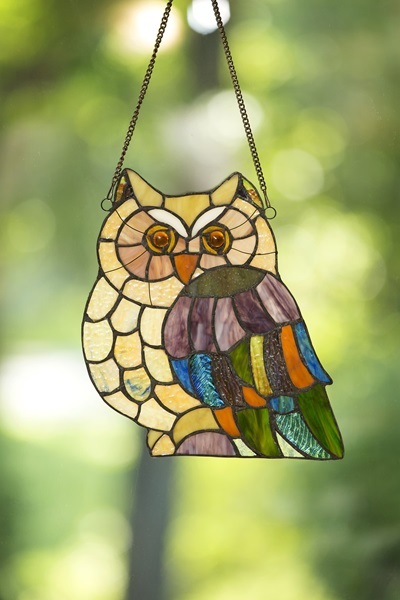 It's perfect for any season.